Very engaging and funny speaker. Can’t wait to read Erik’s book! Excellent presentation. Can’t wait to put into action. Great presentation! Love the content and delivery. Great sense of humor! Great examples! Read a thank you from a 4th grade student. 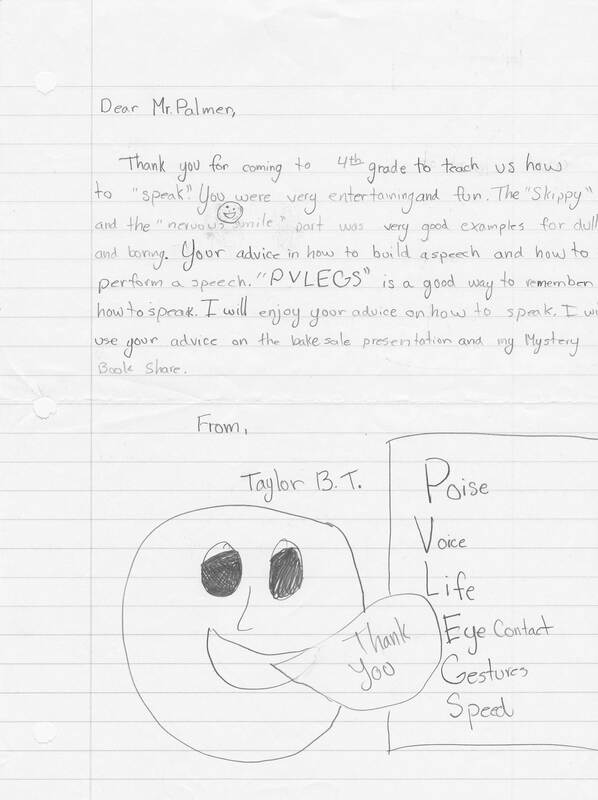 An endorsement letter from a secondary school committed to improving oral communication. Read an email from a former student. Possibly the best presentation I have ever witnessed! “Let me start by telling you that I thoroughly enjoyed your presentation in Nashville this past week. Clearly you are embracing the tenets of what you preach.